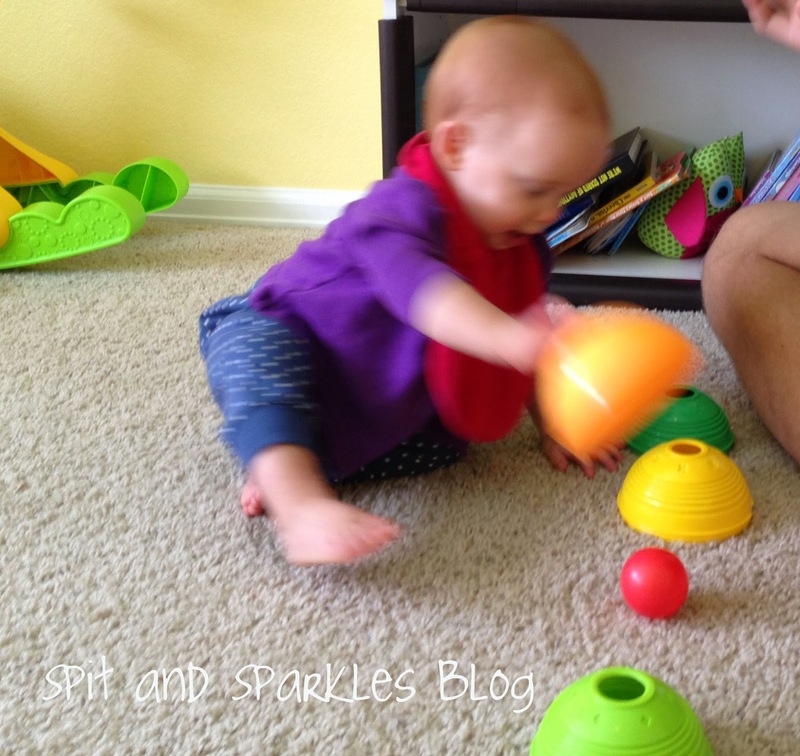 Corbin and Lynley are not quite old enough for all of the awesome activities I keep seeing other moms post for Tot School, so we’ve still been focusing on purposeful play. 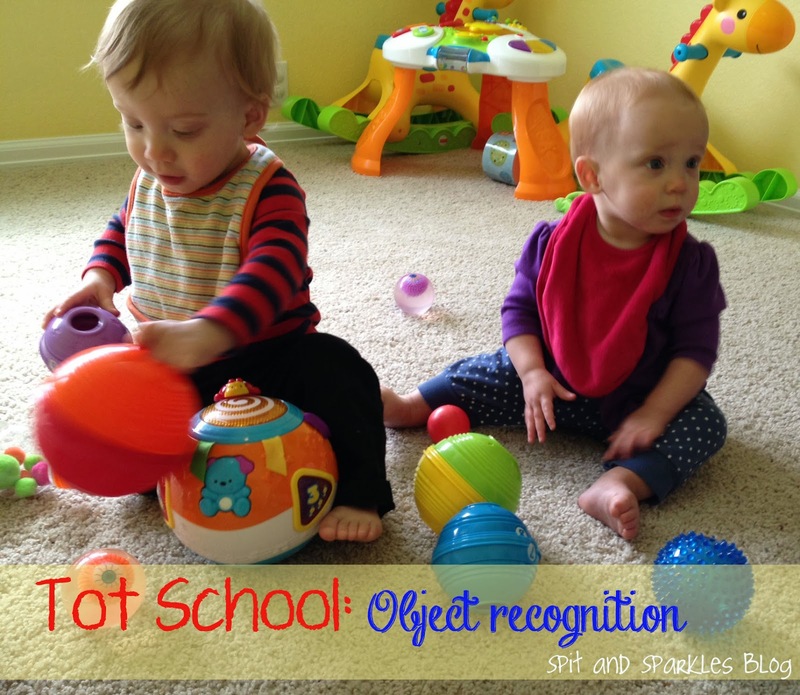 The theme for about two weeks now has been object recognition and language learning. Some other concepts are thrown in there as well, but I’ve been mainly focusing on strengthening the babies’ language skills. 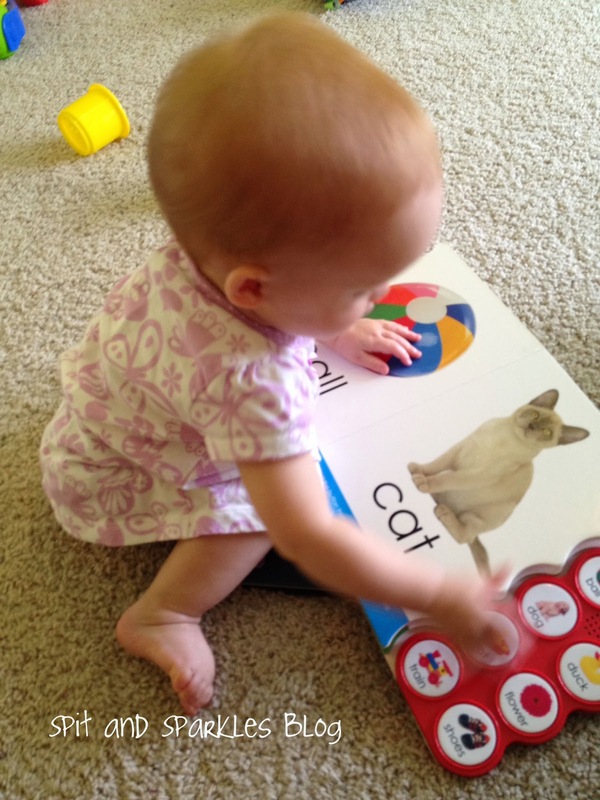 A couple of months ago, I picked up a listen and learn baby’s first words book. Corbin and Lynley love to press the buttons, but will not let me read the book to them and show them the picture and spelled word of each object. So, I’ve been on a mission to change that first of all! And, I want them to start practicing saying the words back to me and recognizing the picture and real-life object when I say the word out loud. Our first word was ball. 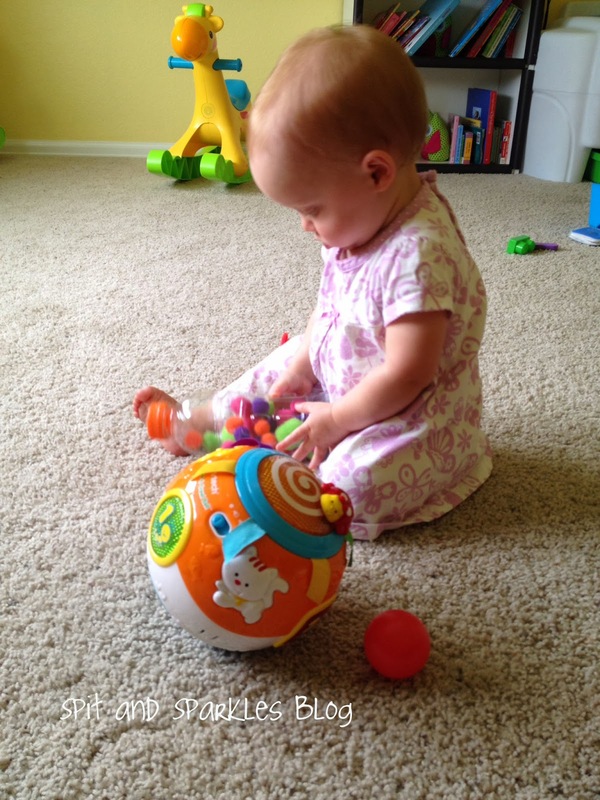 Both of them already love playing with toy balls, so I gathered up several of their balls of different sizes, colors and textures, sat them in the middle of the room with them and put away all of the other toys so they wouldn’t get distracted. 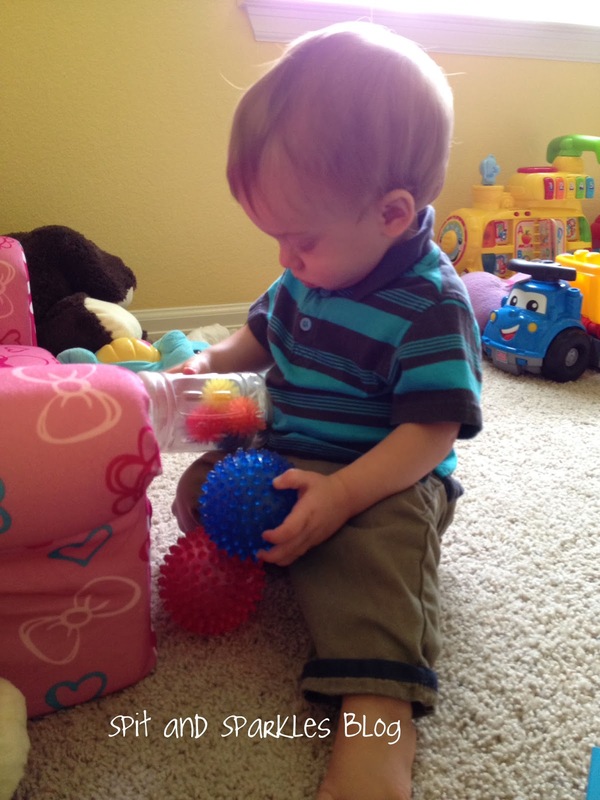 I incorporated two of our previous Tot School activities by bringing back out the discovery bottles with balls and playing hide-and-seek with a ball and a cup. 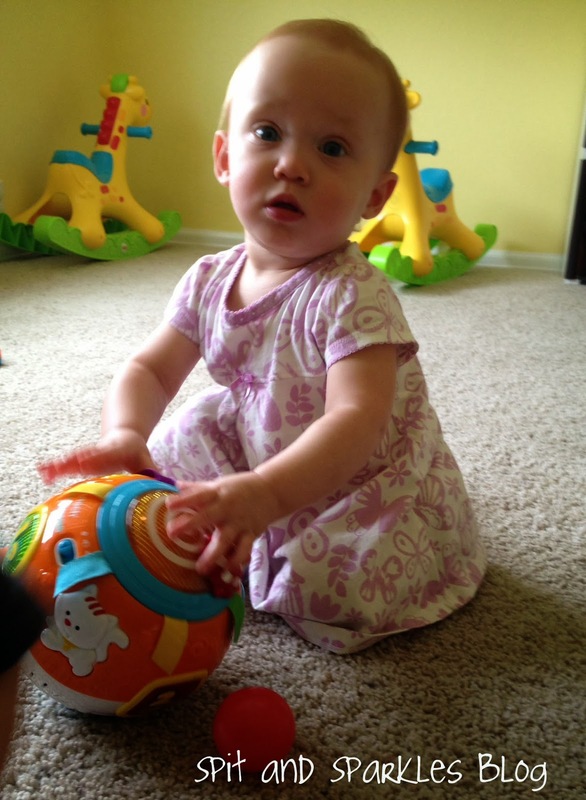 To get started, I showed the babies the book page that had the picture of the ball with the word spelled underneath. We took turns pressing the corresponding button and listening to the word pronounced. (side note: a word can sound so strange after repeating over and over and over!) Then I would ask each of them to say ball. I pointed to the picture of the ball, and said “Ball, ball. Can you say ball?” I was overjoyed to hear ba, some of the time! They did however, do pretty well at hide-and-seek. They’ve always loved to find hidden objects, so I wasn’t surprised that they would be almost 100 percent accurate. I used two cups. First, I showed one of them the ball, and then I let them watch me place the ball under the cup. Once it was hidden, I asked, “Where is the ball? Can you find the ball?” Without fail, they would lift the cup and show me the ball. Great!! They aren’t quite ready for me to swap the position of the cups once the ball is underneath, but we are working on this. Most of the time, they would look under the wrong cup because they remembered the spot that I put the ball, but not which cup it was under. 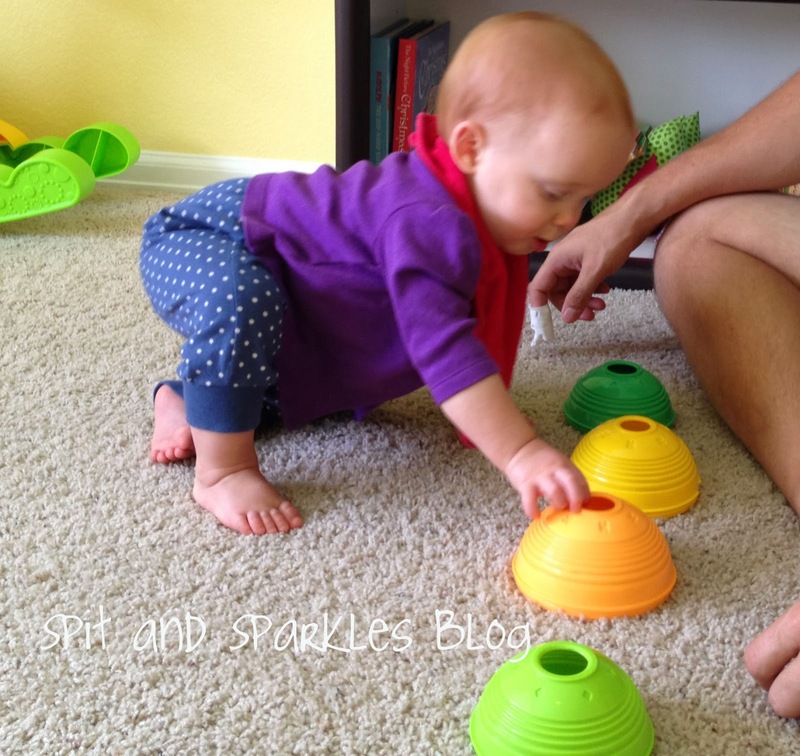 Lynley did really well when Daddy played with her and used FOUR cups! Overall, I think Corbin and Lynley both know what a ball is now, and it’s just a matter of time before they will start saying the word ball. A neighbor told me that she was at the store one day, and all of a sudden she kept hearing ba, ba, and her daughter was pointing at something. She was pointing at a rack of balls! How cute is that? Can’t wait to experience it myself. Your twins are precious! Love their names & you sound like a wonderful momma!!!! You are doing so well with those two adorable babies. 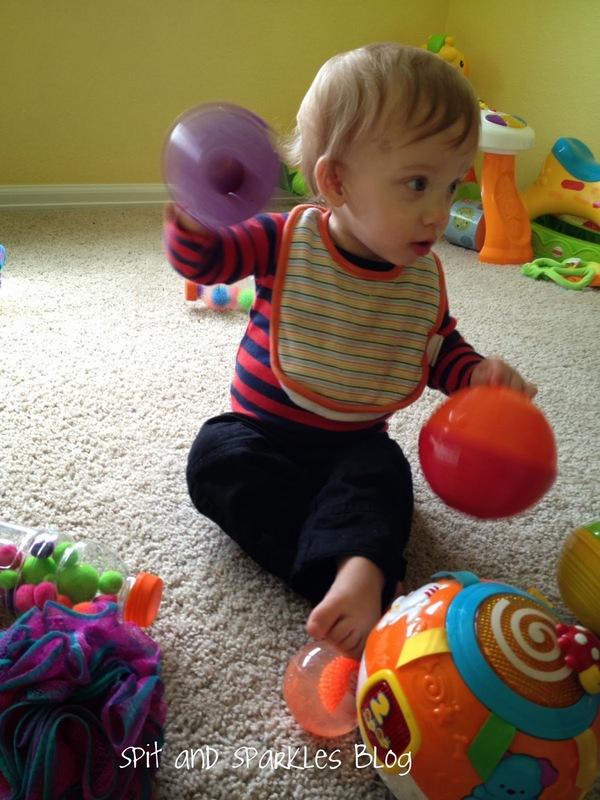 Babies absolutely love balls so i think you are definitely on the right path. 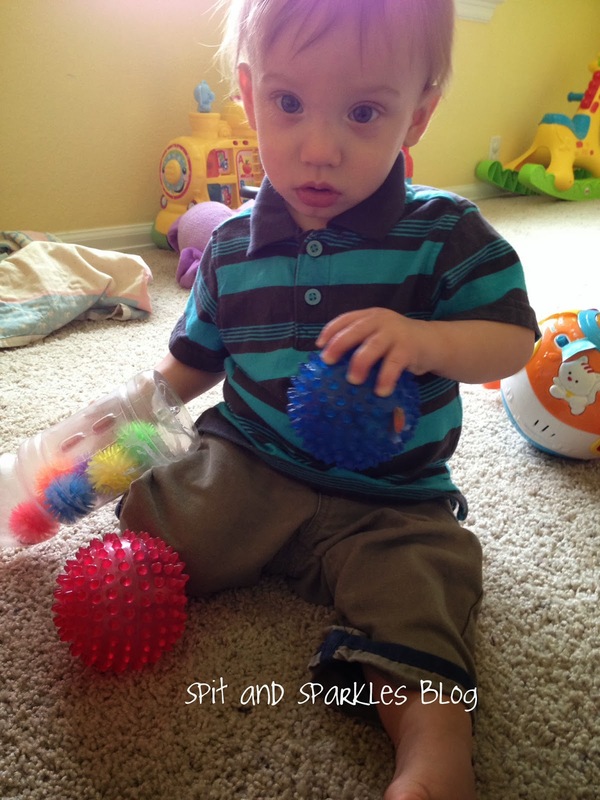 Thanks so much for sharing, and for linking up at the homeschool link up! You add so much to our link up and I appreciate that you come back. Have great Wednesday! Lisa, you are so kind! I love your link up, and I’ll be back soon. Thanks for hosting and sharing your own ideas! I am inspired by all of the homeschooling mamas out there. It’s hard work!